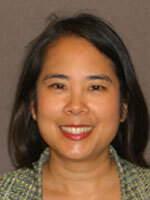 Michele Chang received her doctorate in political science at the University of California at San Diego. Her publications include Realigning Interests: Crisis and Credibility in European Monetary Integration (Palgrave Macmillan) and articles in the Journal of Public Policy and the Journal of European Integration. She previously held positions at Colgate University, Cornell University, and most recently the Centre for European Policy Studies in Brussels. She has received grants from the Institute of Global Conflict and Cooperation, the Deutscher Akademischer Austausch Dienst, the Picker Foundation and was a Fulbright Research Fellow in the European Union. Dr. Chang’s research interests include European monetary cooperation, European integration and legitimacy, and financial crises.